SimplyVital Health is propelling the healthcare infrastructure forward. Its goal is to transform value based care using blockchain technology. Their system will provide a thriving ecosystem for creating a health care marketplace and the opportunity for sharig of health care data, with the goal of reducing the friction around and to increase the financial upside for providers participating in effective coordination. This marketplace can include apps for every piece of the care continuum such as healthcare facilities, insurance agencies, pharmaceutical companies, and research institutions. Because of the accessibility of the marketplace, applications can be written for local scale or globally. They’re a team of experienced leaders in blockchain and healthcare with a track record of success. They are both futurists and realists. They’ve thought deeply about where blockchain can lead healthcare. Most importantly, however, they have the hands-on experience to turn a vision into reality. ICO Description: SimplyVital Health uses an Ethereum base blockchain ecosystem Health Nexus, which is s the fuel for value based care. 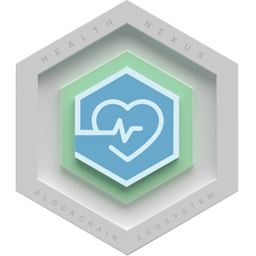 Shattering healthcare silos and bridging providers across healthcare systems, Health Nexus propels healthcare infrastructure forward and, through the efficient and trustworthy ledger blockchain provides, empowering providers’ transition to value based care regardless of their clinical affiliation. Their current platform in the market, ConnectingCare, is a realistic, practical utilization of blockchain technology. An intentionally simple introduction of blockchain technology into healthcare, this tool augments their current customers’ infrastructure using existing data to create care pathway flexibility, prospectively track financials, maintain immutable records, and accurately monitor analytics.